One of the UK's leading microbiologists is concerned that confusing language and a lack of specific objectives are hampering the global fight against antibiotic-resistant infections. 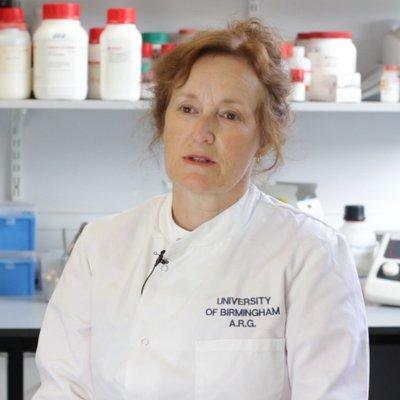 Laura Piddock, Professor of Microbiology at the University of Birmingham, and her collaborators have written a report for the UK All-Party Parliamentary Group on Antibiotics. It calls for policymakers to focus on measurable objectives and simple language, among other things. A summary of the report, 'Implementing WHO, EU and UK AMR strategies and action plans: has the world lived up to the challenge? ', was published in The Lancet Infectious Diseases today (23.30 hrs UK Time Friday November 9th). Professor Piddock, who produced the report while Director of Antibiotic Action – the public engagement arm of the British Society for Antimicrobial Chemotherapy, said: "The UK has taken significant steps to meet the objectives of the EU Action Plan, which in turn satisfies the WHO Europe Strategic Action Plan. "Yet there is an absence of objective and tangible outcomes by which to measure success of these plans and strategies. There is also a lack of consistency between the strategies in use of terminology, areas of compliance, and recommendations, which makes it difficult to discern whether the EU and UK regional action plans have satisfied the overarching WHO Action Plan. "The biggest weakness is the ambiguous nature of the words employed in the recommendations. This 'jargon' may limit the impetus for decisive government action in some areas and pose a challenge to finding evidence of fulfilment of the AMR strategy aims."